When you need a trailer – new or used, covered or open, gooseneck or bumper pull – you need Mouser Steel Supply! Mouser Steel Supply Inc. has had a long and fruitful journey in the last 24 years. In 1994, what used to be known as Patton Steel changed hands and was renamed Mouser Steel Supply, and nine years later, Mouser Steel Supply was up and running with a new, large manufacturing and retail facility on Highway 72 in Patton, Missouri, making it convenient and easy for customers to reach our facility. Mouser Steel Supply is one of the best Missouri trailer dealers by far. In every way – whether it be through our excellent customer service, the numerous types of trailers we have available, or the fantastic quality of service we provide – we beat out all other dealerships. Perhaps you want something shiny and new, or perhaps you want to keep your budget lower and need something used – either way, we have a trailer for you. We carry a large and various array of trailers, offering not only many different new trailer types and brands alongside some makes and models unavailable from our competitors, making our dealership the only place you need to look for your new trailer. We strive to make the whole process an easier and more pleasant shopping experience for you. Our first priority is making sure our customers are absolutely satisfied with their purchases, and we do our best to make every purchase or repair as hassle-free and as quick as possible without sacrificing excellent, high-quality service. We understand that you’re hardworking, extremely busy, and have things that need hauling right this second, as your go-to Missouri trailer dealer, we want to make sure you’re out with a new trailer or a repaired one as soon as possible. We carry an extensive selection of trailers for you to purchase, giving you a diverse range of makes, designs and shapes to choose from. Whether you haul horses or hot wheels, we have the trailer for you – that’s our motto, and we stick to it! Our full line of trailers makes us your one-stop shop dealership. 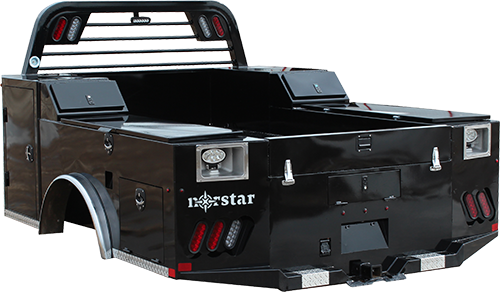 We carry many different kinds of trailers, including options from some of the most recognized dealers in the business, such as Iron Bull, Featherlite, Neckover, Haulmark, Big Tex, CM Livestock and Norstar Truck Beds and Bumpers. No matter what you need to haul, there is a trailer out there for you – and we will make sure you find your perfect match. We help you make the right purchase every time, whether that means a brand-new trailer or one that’s been in good hands before yours; whether you need something extremely durable, something on the lighter side, or something enclosed – we have it and we will make sure it fits your needs and wants exactly or we will help track down and order any specific trailer or extra equipment you need as your trusted Missouri trailer dealer. We work closely with you to completely understand your trailering needs to make sure that your requirements are taken into account so we deliver the perfect trailer for you. We take pride in our customer service and our ability to listen closely and carefully to every customer that walks through our doors. There is no request too large or too small for us to handle. Every trailer is designed for a specific purpose, and every trailer will work differently for everyone’s needs. That’s why we’re here to help you sort through all the different options and get you what you really need. From horse and dump trailers to equipment, gooseneck and utility trailers – we have you covered. Selling trailers isn’t all we do – Mouser Steel Supply is a full-service Missouri trailer dealership, meaning that you don’t have to worry about finding a trustworthy and fair mechanic somewhere else. We have everything you need right here! Whether you need your trailer repaired or are ready to upgrade it, we can help you out. We do a variety of services on trailers, and our staff has decades of experience fixing trailers, so when you leave yours with us, you can rest assured that it will be in great hands and treated with care. Attention to detail is very important to us, and we take extra care making sure every piece of your trailer is where it should be and is working properly. Some of the services we offer include routine inspections, installing brake controllers or replacing brake pads, and even installing and B&W Turnover hitches into your truck. 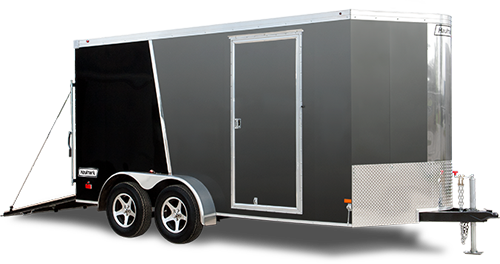 We provide complete trailer repair services and have a full line of trailer parts available, and we also offer preventative maintenance services and warranty work, too. If you’re more of the do-it-yourself type, we can help there too – our vast array of trailer parts and accessories are available for you to purchase and work with yourself. We don’t have the part you need? Don’t worry – if we don’t have exactly what you’re looking for, we’re more than happy to special order it for you. Our employees will make sure you have the part you need in at a fair price and in a timely fashion, helping you to have your trailer back on the road as soon as possible. At Mouser Steel Supply, your satisfaction is our first priority. Stop by the dealership if you’d like more information, or give us a call at 573-866-2979!